Graph pattern mining becomes increasingly crucial to applications in a variety of domains including bioinformatics, cheminformatics, social network analysis, computer vision and multimedia. In this chapter, we first examine the existing frequent subgraph mining algorithms and discuss their computational bottleneck. Then we introduce recent studies on mining various types of graph patterns, including significant, representative and dense subgraph patterns. We also discuss the mining tasks in new problem settings such as a graph stream and an uncertain graph model. 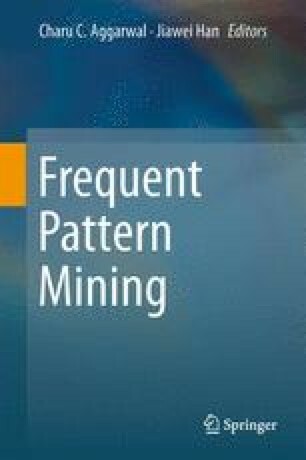 These new mining algorithms represent the state-of-the-art graph mining techniques: they not only avoid the exponential size of mining result, but also improve the applicability of graph patterns significantly.